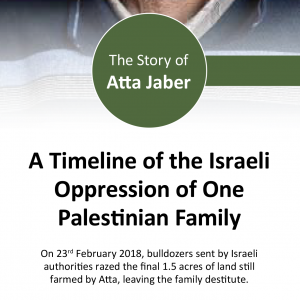 ICAHD UK is pleased to introduce our latest leaflet resource which is another tool to be used in telling the story of the Atta Jaber family, which ICAHD has supported for the last twenty years. It is a tool to help engage in conversations with people who are not fully aware of the suffering of Palestinians. It is a real human story. 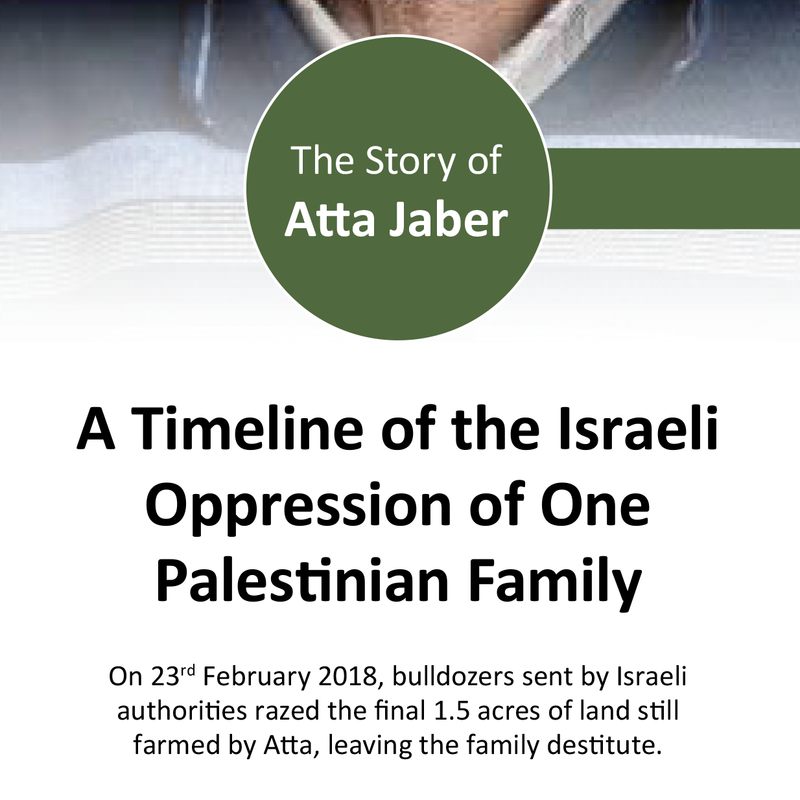 A factual and detailed account of the oppression suffered by one Palestinian family over many years and is representative of the experiences of thousands of Palestinian families, since the formation of the State of Israel and the Occupation of the Palestinian territory since 1967. Use it to increase public awareness of the situation amongst friends, relatives, colleagues, religious bodies, peace and justice groups as well as political parties, etc. Post it on suitable notice boards. Write to your MP stating that you are sending him/her this leaflet to increase his/her awareness of the reality of life for Palestinians under Israeli occupation. Remind them that the British have an historic and ongoing responsibility for the situation in Israel/Palestine and that there is unfinished business in the Balfour Declaration of 1917 (which our current government has admitted but takes no action). Ask that they use their influence as an MP to call for Israel to observe international law and to speak out for the Palestinians at every possible opportunity.